RWKrafts: Mixed Media Monthly Challenge #6 - STAMPS! 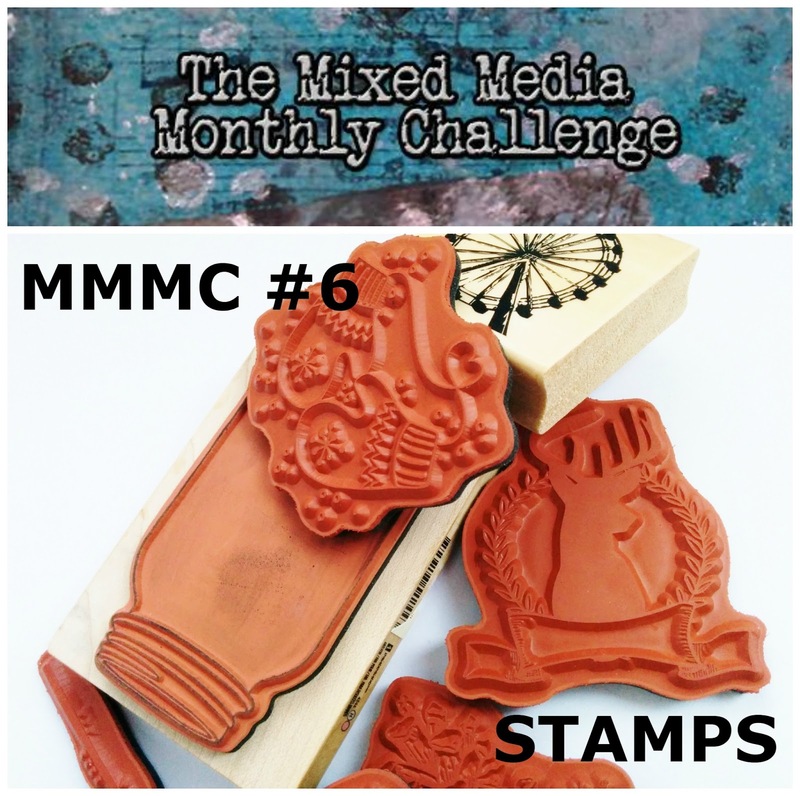 Mixed Media Monthly Challenge #6 - STAMPS! HELLOOOOOO NOVEMBER!!!! November is hands-down my favorite month of the year... there are still beautiful red leaves on the trees, the air is crisp without being too bitter, and it holds my favorite holiday of the year - Thanksgiving! AND now it means a BRAND NEW MIXED MEDIA MONTHLY CHALLENGE! Our November challenge is to use STAMPS in your mixed media project! For some of you this probably seems way way too easy, but I know for others this definitely will be a challenge! You could also try to use your stamps in a different way than you usually do... think outside the box! I am so so thrilled for the prize this month... a $50 GIFT CERTIFICATE TO UNITY STAMP CO! And it's just in time to get some holiday shopping in, too! You definitely want to enter this month for a chance to be the random winner! THANK YOU UNITY! I created this adorable little ornament/shadow box for the holidays. I used a huge variety of Unity stamps to put this together. It was a lot of fun to go through my stamp stash and play! I bought these cardboard ornament boxes at Michael's last year and I think they were only 29 cents each. So obviously I stocked up and didn't touch them for 11 months ;) First I covered them with Faber Castell Gesso. I also did a light coat of gesso over some Neenah Solar White cardstock. Once it dried, I stamped all my Unity stamps with Archival black ink. Look at your stamps in a different way! I only wanted the candy canes but could not find a candy cane stamp... so I just fussy cut the part that I wanted from this sweet penguin. For the pine trees I stamped them with a green Stamper's Big Brush Pen from Faber Castell. The ink stamps just as well as an ink pad and it is also permanent when dry. I colored all of my images with PITT Pens. This is why I originally coated my paper with gesso, so I could easily blend the PITT pen colors. I coated the inside with gel medium and pasted a light blue DCWV paper in the center. I colored all the sides and did some shading with my Gelatos. Once that was dry, I used a stencil and some Whipped Spackle to add little snow drops. The snow on the bottom is a combination of a LOT of Whipped Spackle, tan mica flakes from Stampendous, and chunky clear glitter. While the Whipped Spackle was still wet, I simply placed all of my elements into the 'snow' where I wanted them. Once everything dried, they were stuck! I finished the shadow box with the banner across the top and a Happy Holidays sentiment. I definitely intend to make more as Christmas gets closer! Rachel, this is an amazing winter scene that you've creative. Lovely detail and creativity. Totally LOVE this shadow box! All the details, coloring and stamping are awesome. Great holiday project!!!! Wow, this is awesome! LOVE it. Darling shadow box, very creative. This is so cute!! Love the 3-D house effect and all the different trees and how you stuck it all in the snow and it stays!